"We use cutting-edge diagnostic tools." For many years, ABI's BoardMaster has been the product of choice for Thyssenkrupp ITS Manchester. Offering the fault coverage required to quickly identify issues such as leaky capacitors, broken tracks, damaged digital and analogue ICs, blown diodes, etc, the BoardMaster provides a set of tools that allows any repair technician to troubleshoot faulty PCBs even when a good working sample is not available. 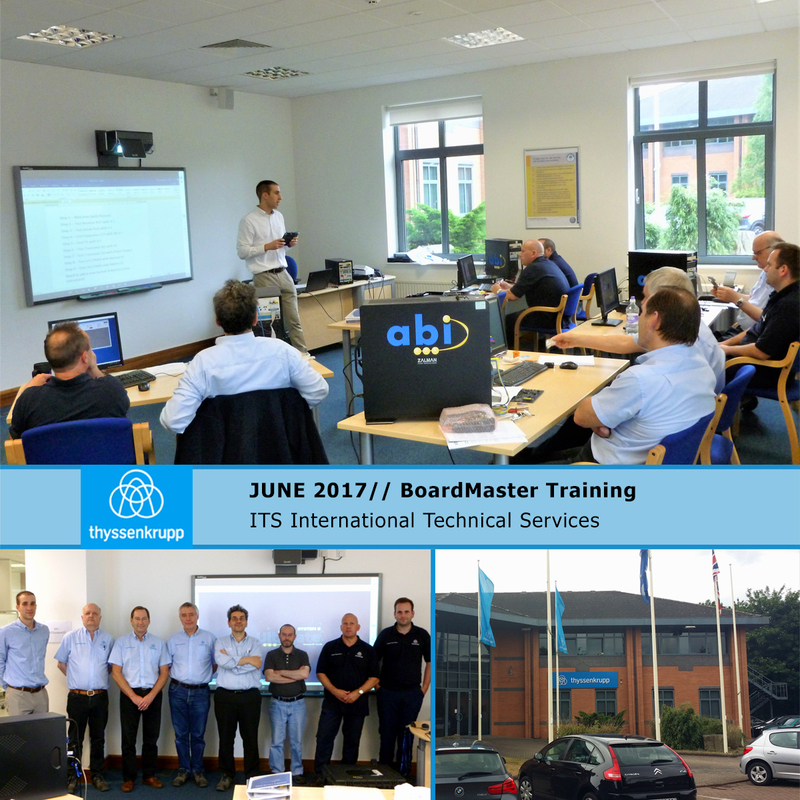 As part of ABI's commitment to continued support and customer satisfaction, ABI's engineers delivered advanced training to the technical team at Thyssenkrupp ITS Manchester in June 2017. All attendees underwent a preparation course prepared by ABI and the training agenda was tailored to meet the needs of new as well as experienced SYSTEM 8 BoardMaster users. Contact ABI on sales@abielectronics.co.uk for technical support or to watch a FREE live demonstration of ABI products.